Remember when a brewery would make a high-alcohol Imperial Stout and it would be a big deal? Nowadays, if it isn't barrel-aged or flavored with something, be it hazelnut, chiles, pine tar, etc., it just isn't worth buying for some people. 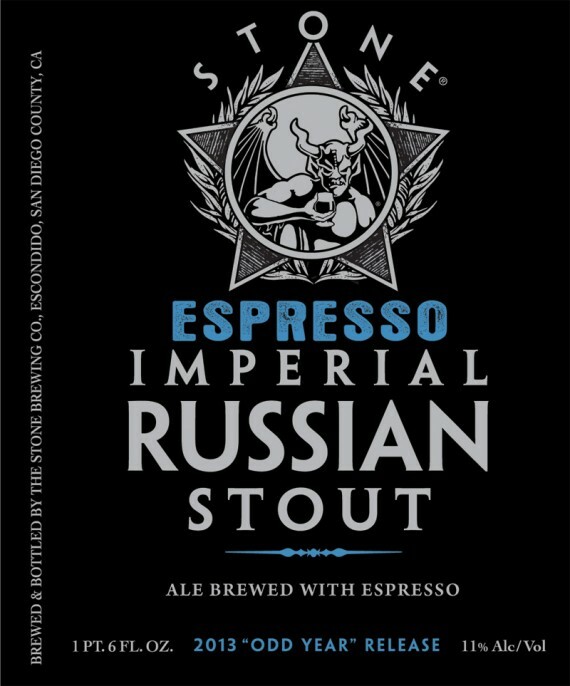 Stone Brewing Co. feels ya on that one, so has released both their regular ol' Imperial Russian Stout and another version flavored with espresso. And they didn't just add a "hint" of coffee- this thing will transport you to a Seattle coffeeshop, but without the guy sitting there trying to get you to ask what he's scribbling into his stupid little journal. F him. Enjoy this without having to smell that guy. The espresso used is from San Diego's Ryan Bros., so maybe you'd be transported to the beach instead- and then you'd have surfers laugh at you while you fell off your boogieboard. Either way, you can't win. Drink this one at home while watching the Today show, and if you still aren't too cool, enjoy the regular version at lunch. 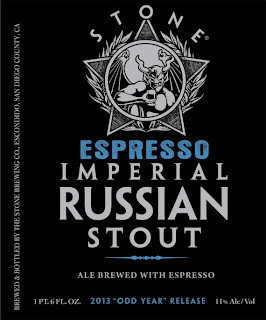 The original is 10.6% ABV, the espresso 11%. Both retail around town for $7.99.